Wizkid was born on 16 July 1990 in Surulere, a residential and commercial area of Lagos. He grew up in an interfaith household with twelve female siblings. His mother is a Pentecostal Christian and his father practices Islam. His father has three wives. growing up, he listened to songs recorded by King Sunny Ade, Fela Kuti, and Bob Marley. Wizkid started singing at age 11 and went by the stage name Lil Prinz until 2006. He formed a group called the Glorious Five with a couple of his church friends. The group managed to release an album prior to disbanding. Wizkid later met OJB Jezreel, a record producer who prevented him from recording for a year. While visiting OJB's PointBeat Studios frequently, he watched 2 Face Idibia record songs for his Grass 2 Grace album. He was also present during the recording sessions for Sound Sultan's debut album, Jagbajantis. Wizkid cited Naeto C as one of the people who mentored and coached him when he was 15 years old. His parents weren't receptive of his musical career at first. In order to gain his father's trust, he had to work hard and spend lots of time in the studio. Wizkid co-wrote Banky W's "Omoge You Too Much", a song off The W Experience album. He also worked with Naeto C, OJB Jezreel, Ikechukwu, and M.I while developing his craft. In 2009, Wizkid inked a record deal with Banky W's Empire Mates Entertainment. In mid-2009, he dropped out of Lagos State University (LASU) to focus on his craft. He later attended Lead City University, but dropped out after completing two sessions. Wizkid began recording his debut studio album, Superstar, in 2009. On 2 January 2010, he released "Holla at Your Boy" as the album's lead single. The song earned him the Next Rated award at The Headies 2011, and was nominated for Best Pop Single at the aforementioned awards show. The music video for "Holla at Your Boy" was nominated for Most Gifted Newcomer Video at the 2011 Channel O Music Video Awards. It was also nominated for Best Afro Pop Video at the 2011 Nigeria Music Video Awards (NMVA). On 2 April 2010, Wizkid released "Tease Me/Bad Guys" as the album's second single. The song was initially released as a freestyle. Superstar garnered Best Album of the Year at the 2012 Nigeria Entertainment Awards, and was nominated for Album of the Year at The Headies 2012. 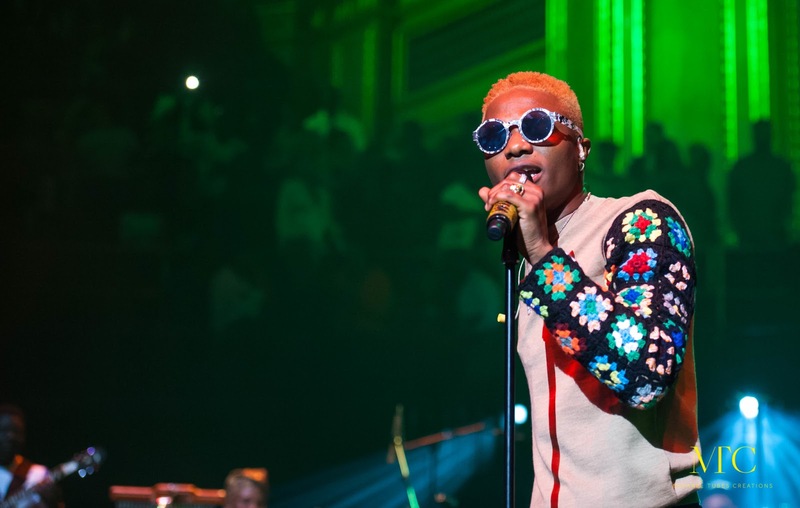 On April 5, 2016, Wizkid became Nigeria's first artist to emerge on Billboard’s Twitter Last 24 hours chart following his guest feature on Drake's afrobeat-infused "One Dance " single, which charted at number 21 and in May 12, 2016, the song reached number-one on the Billboard Hot 100 chart, a position it kept for 10 non-consecutive weeks. The single went on to become an international smash hit, topping the charts in 15 different countries, including the United Kingdom, Canada, Australia, France and Germany. The single thereby became Wizkid's first number-one single as a featured artist in these territories. In 2012, Wizkid signed a one-year endorsement deal with Pepsi reportedly worth 350,000 U.S dollars. He travelled to Beirut, Lebanon with Tiwa Savage for a Pepsi commercial shoot. On 28 May 2013, Premium Times reported that Wizkid signed a one-year deal with MTN Nigeria. Moreover, the news source reported that Wizkid's Pepsi contract was renewed for another two years. On 22 August 2011, Nigerian Entertainment Today reported that Wizkid fathered his first child at age 21. After a thorough investigation, the news source concluded that Wizkid impregnated then undergraduate student Sola Ogudugu. Moreover, the news source added that multiple sources familiar with the "baby mama" and her family told them that they knew about the relationship between both parties. When the story broke out, close friends and associates of Wizkid didn't confirm the story due to DNA results that were pending at the time. Wizkid broke his silence on the story in several interviews. In an interview with a Nigeria Entertainment Today editor, Wizkid denied having a child. In another interview held at Ogudu-GRA in Lagos, Wizkid said he really doesn't want to find himself in that peculiar situation. A week before denying the aforementioned allegations, Wizkid tweeted from his official Twitter handle. In December 2012, he denied the baby scandal during an interview with Nonye Ben-Nwankwo of The Punch. In October 2013, Wizkid uploaded a picture of he and his 2-year-old son, Boluwatife Balogun, onto his Instagram account. The photo confirmed the alleged rumours and allegations that were harboured for 2 years. The photo also vindicated Nigerian Entertainment Today, the news source that first covered the story. He also has two other boys from two different women, making him a Father of Three boys..
We are proud to celebrate this Nigeria Star Musician!